MAE SOT - Mae Sot in Thailand's Tak province will be my home for the next few months. I will be teaching at the Democratic Party for New Society (DPNS) school, which was organized to educate young Burmese cadre who are working to bring genuine change in their country. The students are taught basic English, Burmese history, computer literacy and political science, which I am teaching to 31 students from different parts of Burma. 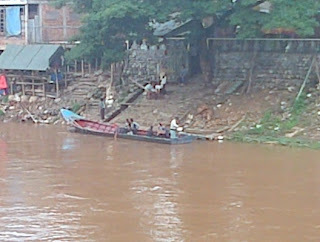 border which separates Burma and Thailand. DPNS is looking at a possible direct participation in Burma's electoral contest in 2015 and are now grooming young Burmese for leadership. 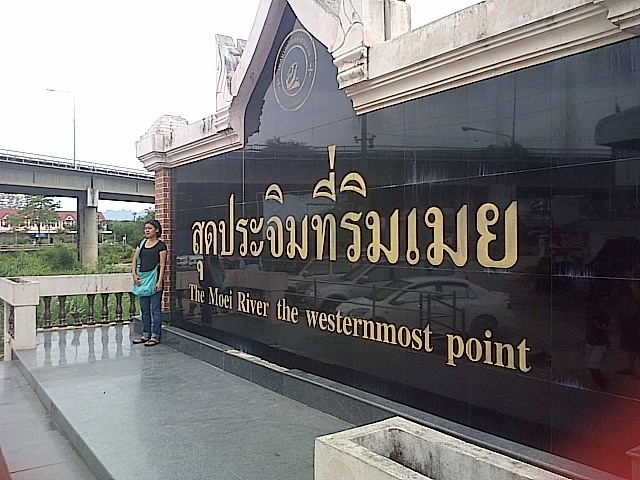 Mae Sot is in the west of Thailand and shares border with Burma's Myawaddy town. Being a border town, Burmese who are looking for jobs flock to Mae Sot, where there are several factories. Burmese also go to Mae Sot to pursue their education and in many cases to seek medical help. Burmese, however, usually travel without papers and instead of passing the border officially, use boats to cross the border, paying 40 baht or 1,000 Burmese Kyat in an unofficial checkpoint near the Burma-Thailand friendship bridge. Surprisingly, we met a couple of Filipinos here. Most of them are Baptist missionaries. I and two comrades from the Philippines, Jan Dacumos and Elaine Roa, even attended one of the Sunday service last weekend. Jan is a volunteer helping in the English class while Elaine is a nurse who volunteered in the Mao Tao Clinic, whose founder Dr. Cynthia Maung is a Ramon Magsaysay Awardee. The three of us are planning to visit Myawaddy in the next few days and is looking at immersing ourselves to the Burmese culture inside what is now known as the Socialist Republic of the Union of Burma. I will continue to write about my experience here in Mae Sot as a teacher and a traveller, so please follow this blog. Kyeizu tin ba de.